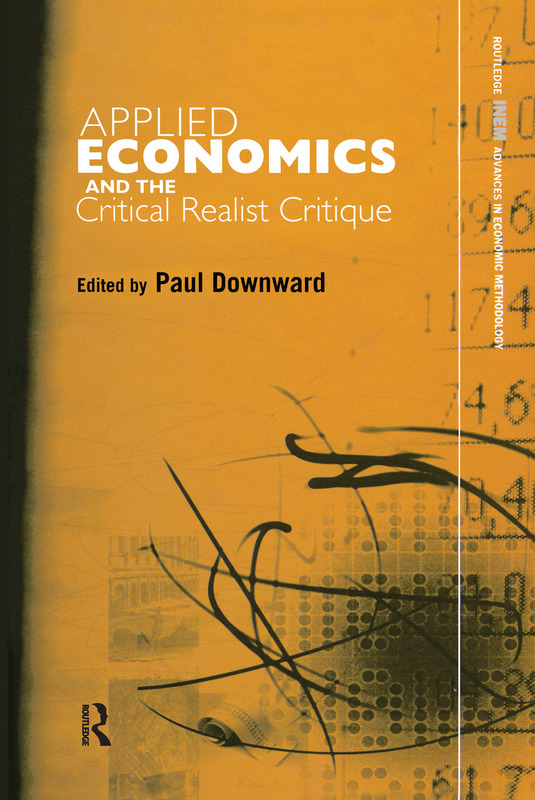 This intriguing new book examines and analyses the role of critical realism in economics and specifically how this line of thought can be applied to the real world. With contributions from such varying commentators as Sheila Dow, Wendy Olsen and Fred Lee, this new book is unique in its approach and will be of great interest to both economic methodologists and those involved in applied economic studies. Paul Downward is Reader in Economics at Staffordshire University, UK. He is also author of The Economics of Professional Team Sports also published by Routledge.